akismet Archives - Medical Marketing Enterprises, L.L.C. January 25, 2011 by Randall Wong, M.D. Can you recognize comment spam? Even though you may be using a spam blocker, occasionally a suspicious comment sneaks through. It’s worth your while to learn how to identify comment spam and keep it off your site! The text of comment spam often either makes no sense (random strings of characters) or is quite short, such as “nice job” or “great site.” In general, a true comment is either going to ask a legitimate question or contribute to your site by providing a meaningful comment that is relevant. Look for hyperlinks within the text of the comment, or, look for a URL itself within the text. This will be a clue that the author is trying to set up hyperlinks to their own site. Not all spam is vulgar or inappropriate. Spam is anything your receive that is unwanted. Many times I will not approve a comment, even though benign in language, if it has nothing to do with my site. On my sites, approved authors can automatically get published on my sites. “Approved” means they have commented before, legitimately, and I have published their comment. Thus, I don’t approve anything that is not obviously relevant as the author could place comment spam subsequent to the first submission. Look at the signature of the author. Spammers will also usually leave a URL in the signature box of the comment. I’ll often check out the URL before allowing the comment to be published. 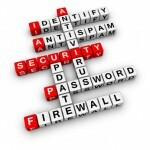 Overall, with the use of a spam blocker, such as Akismet, and using these tips, I’ve avoided most spam on my sites. 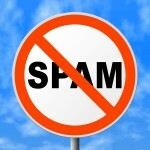 Remember spam is unwanted comments to your site. It can reduce your SEO and turn away your followers!